Rowing Machines are in a different league. Unlike the somewhat artificial feeling of the air rowing machines, the WaterRower offers a superior water based resistance. Create More Spare Time Using the Most Efficient Exercise. Independent researchers have verified that a WaterRower workout can burn up to 1000 calories an house and utilise more than 80% of your body’s muscle mass. That’s more muscle mass than any other single fitness machine and more calorie burning than a treadmill, elliptical trainer, exercise bike or spinning bike which average 500 to 600 calories per hour. The “WaterRower” is the original water resistance based indoor rower machine. 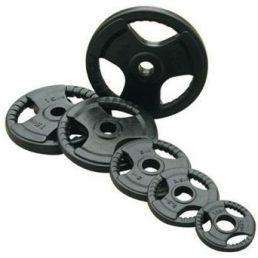 As with all cardio vascular machines you are able to vary the resistance. The resistance is created by water within a tank and the faster you row the more resistance is created. This remarkable effect of water is called infinite resistance and many users report a smoother, quieter and lower impact rowing workout than many of the older model “air rowers”, or magnetic rowers. Low maintenance with an exceptional WaterRower warranty. 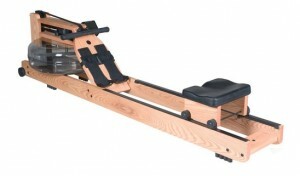 5 year warranty on WaterRower frame. 3 year warranty on other parts. Perhaps the best reason to invest your health and fitness budget into a WaterRower is the fact that there is no other fitness machines that offers such an intense and whole body full body workout as the WaterRower. Precise levels of increased workload can be monitored using the advanced monitor and feedback from the device. Ask anyone who has had to maintain a consistence workout and fitness regime; consistent and accurate feedback in a must. Accurate workout feedback and measurement of results leads to increase motivation and ultimately sticking with the program and achieving your fitness goals! So what are some of the technical innovations that make the WaterRower stand out from the crowd of other rowing machines. Great Quality Advanced S4 Console. Intensity measured in meters per second. That’s a great feature for keeping up your number of calories burned per minute and improving your results. Time per 100 meters and time per 2 kilometre. Distance in meters, kilometres, miles, duration and total number of strokes. 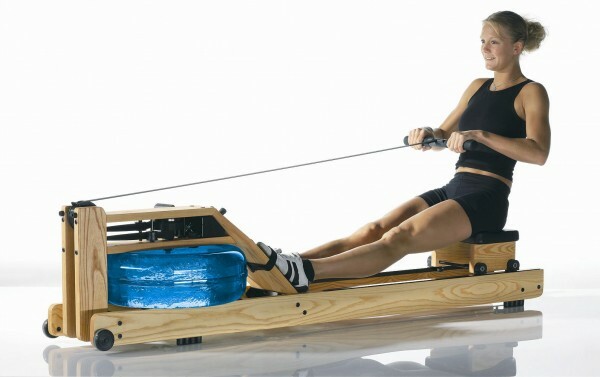 The unique Water Flywheel mimics a totally authentic rowing movement and action. The resistance and difficulty level of the WaterRower is caused by “drag effect” on the tank sides. This type of rowing machine resistance is also called self-regulating resistance or infinite as the harder you row the harder it becomes. As you increase the rate of stroke repetitions, so the drag increase and hence the amount of work needed to overcome the drag. A tougher aerobic workout or easier workout, you decide! The Superior Material Connection “Drive Strap”. The footboard follows the raising and falling of the heel throughout the movement and stroke. This provides additional stability and comfort from beginning to end. Users describe the action as being quiet and meditative. Exercising to the natural sounds of water is something very special! This is in stark contrast to the somewhat mechanical and noisy results of the air rower mechanisms. Ergonomically Designed Tear Shape Handle. The signature Ash WaterRower is known by its two rail design which results in an almost unbelievable maximum user weight of 400kg. Once Go to https://www.howtorow.com for a diverse array of support and coaching services directly aimed at the new WaterRower owner. If you are looking for value for your money as well as an a capable and beautiful rowing machine then this is a unique benefit for you. Guidelines, programmes and plans for training routines. Ensure a continued smooth and enjoyable rowing workout with the automatic spragg clutch system. 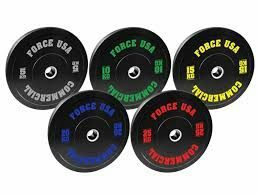 This system creates a lower impact workout and more consistence resistance. 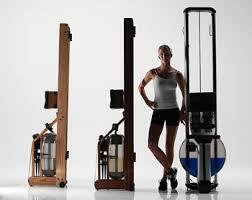 You will literally feel the difference between the WaterRower and the air rower systems. Easy To Store and Beautiful to Behold. 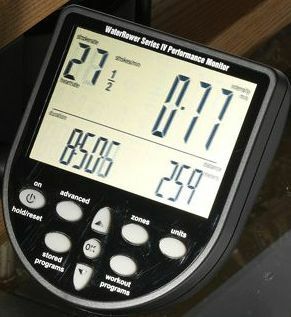 If there is one thing that all WaterRower owners talk about then it is the elegant and striking appearance of the units. 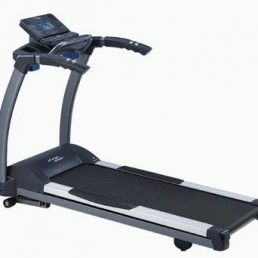 If you want to own a stunning looking piece of gym equipment for your home or commercial gym, then this would the right gym machine to buy. The natural in Ash rowing machine is hand crafted and is finished in a honey oak stain together with a being hand finished with Danish oil. Crafted in replenishable woods due to the extraordinary physical and longevity properties, the various WaterRowers are a sight to behold. The wooden rowing frame absorbs noise and vibrations making your workout smoother, quitter and more enjoyable. 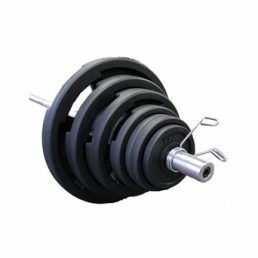 Whether being used or being stored upright, there is simply no other fitness machine or item of gym equipment that looks quite like it. Whether you want to buy now, or when the time is right for your now, then feel free to call me or contact to me so I show you more. 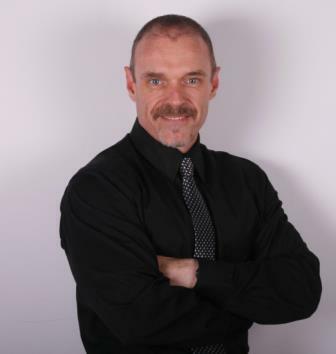 Let me help you buy right the first time around s you can start enjoying the benefits of your gym equipment now. 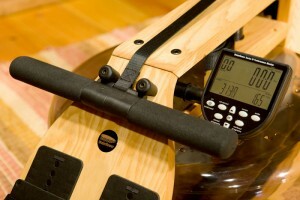 Click Here for Great Prices on Rowing Machines.